We Offer Free Compliance Packaging. We are Friends of Advantage. You can be too. Tired Of Making Multiple Trips To The Pharmacy? Ask Us About Med Sync. That’s what you hear each time you come visit us. We have many new features just added for your convenience. Text messaging / Email. No more wasting phone calls to the Dr.’s office or the pharmacy. We send you a text or email as soon as your prescription is ready to pick up. New website capabilities: You can request refills, view and print medication profiles, view live prescription status, and pay charge accounts online. Auto Refill. Sign up for Auto Refill today and we’ll automatically refill your ongoing prescriptions. Med-Synchronization. Let us know and we can synchronize your refills to run out on the same day each month!. Minimize your monthly trips to the pharmacy. Just let one of our staff know and we will set you up. Refill reminder service. Life can be busy. We can call you and remind that you have prescriptions due to be refilled. 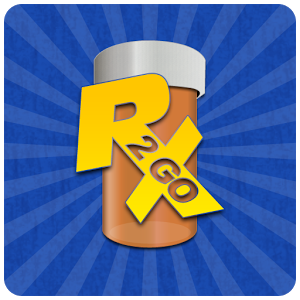 Rx 2 Go iPhone /Android App. Download it today and refill your prescriptions from any iPhone, iPad, or Android device.